US Car Tool's Brand New 63-65 B-Body Mini-Tub Kit!! Ever wanted to gain more room for bigger tires in your vintage B-body Mopar but thought that moving the wheel tubs was to much work? US Car Tool has created a kit to save you time and money for just that! This kit allows you to Mini-Tub your B-body Mopar in a weekend with our pre-fabricated wheel tub filler. Whats the biggest wheel and tire i can fit after installing a mini-tub and spring relocation? Its hard to give sizes that are concrete due to the shape of the wheelhouse, ride height, and wheelbase. When our mini-tub kit is installed with our rear spring relocation kit, this will allow for maximum tire size. 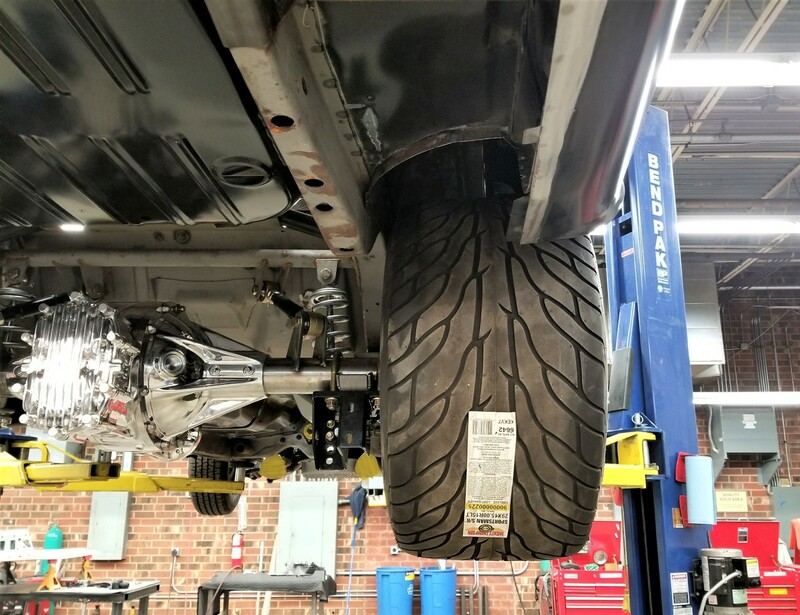 The actual size tire that can be fit in the wheelhouse will depend on many factors including wheelhouse shape, size, ride height of vehicle, wheel backspace, wheel diameter, tire diameter, tire width, axle width. All these play an important part in selecting the correct size for your application. Does the rear end need to be shortened? 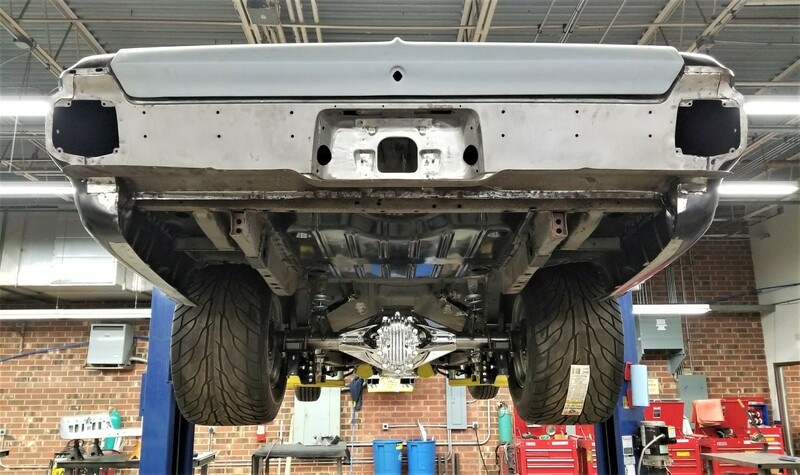 The rear will need to be shortened depending on your wheel offset, this will require mock-up and measuring to be correct. Will the rear seat still fit? The rear seat will still fit with no modification of the A-Bodies, however on B-Bodies the seat frame will need to be modified. Do the seat belts still work? The outboard seat belt anchor will need to be moved depending on your application. Does this require different shock? 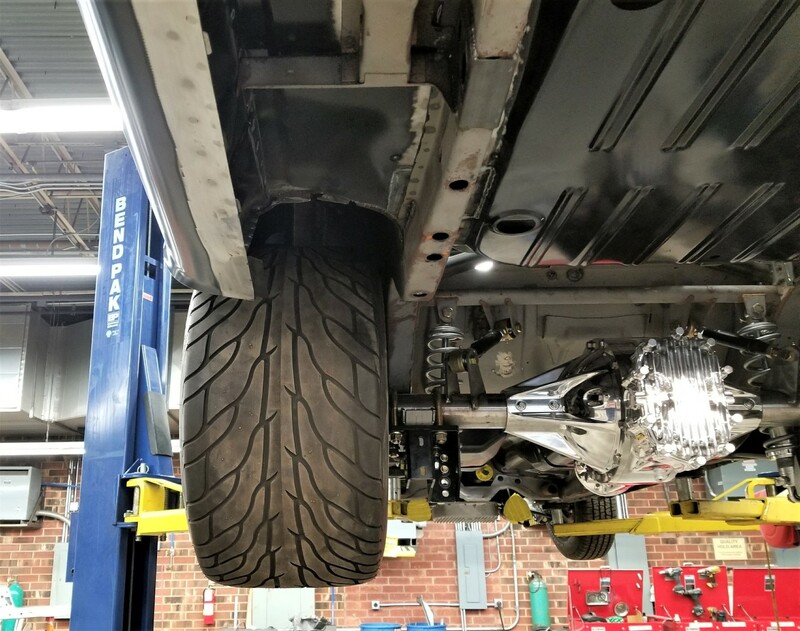 The shocks would ideally need to be shorter and will also depend on ride height, so mock up and measurement is required to get the right length. We have more pictures of the mini-tub process on our website at www.uscartool.com under the pictures section.